When an owner or senior manger is looking for someone that they want to promote, they look for someone who is able to solve problems and answer questions. We place a lot of value in those individuals who have been able to get the answers in the shortest amount of time. When I reflect upon my career, I can see that I was promoted more than once because I was able to solve problems for the organization. The challenge is that the strength that we established in order to grow our careers can also become a deterrent in the development of others. Several years ago I worked with some salespeople and brainstormed some ideas to unleash their ambition. 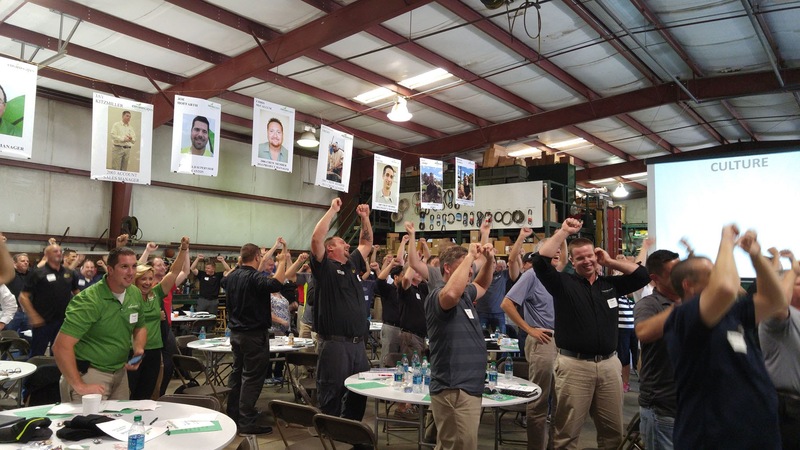 We invested a day away from their sales duties to discuss the habits, attitudes, techniques and direction of the top producers. Our goal in this meeting was to zero in on these positive habits and duplicate them throughout the rest of the team. The following list of directives was developed with a team conclusion that these could very well be the secret to ambition. Every Moment Counts I didn't have to wonder why I had received this particular book as a gift. Its title was unique and stopped me in my tracks just reading the front cover, In Praise of Slowness - Challenging the Cult of Speed. Allow that question to occupy some space in your thoughts even for just a moment . 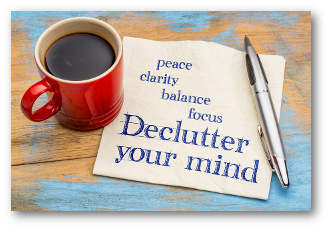 . . How cluttered is your mind? Pause . . . breathe . . . Great Job! Now, let's talk. If we would really reflect on this, I believe most would conclude that it is CLUTTERED. Think about how many times we may have said something like, "My head is full!" "My brain is on overload!" or multiple variations of that concept. And, justifiably so when we consider the noise that we are faced with every day. Some we choose, like Facebook, Twitter and YouTube that have crept in to add clutter, and then there are the real challenges of balancing demands on our time, emails, our active imaginations, etc. You can create your own list of things but it's easy to conclude that the noise can be deafening! We need to keep score in or organizations, but we don't want to just measure something for the sake of measuring. We want to have meaningful numbers that create energy to help us to get the results we need. What are areas you can measure that will bring positive energy into your culture? I had the privilege of having a meeting this week at the Ohio State stadium to talk to a group of people about keeping score. Watch the video below to hear more about that.